BMW has its hands in many different industries and companies, but many of them involve wheels, like their bicycle line. The company’s Designworks arm has a bit more of a free reign, however. The group has done work for the BMW X Family, created new BMW helmets, and was the design force behind Team USA’s newest bobsled in the past Winter Olympics. Outside of that, Designworks has also done work with Panasonic to design in-flight entertainment, and ZTE to create the AXON 7 Smart Phone. Their latest non-automotive design, though, has all of us at The News Wheel wishing for a new office space. While we do not have an open office plan, several newer office spaces do. There are few barriers between coworkers, and the design concept is supposed to encourage collaboration and make an office look less restrictive than rows and rows of cubicles. Designworks has claimed that open office designs actually make workers unable to focus, driving down productivity. 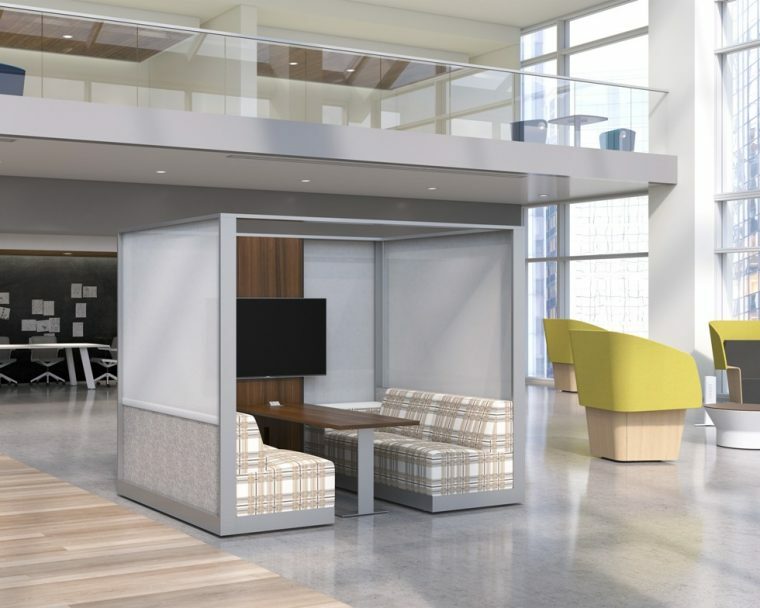 The company understands how oppressive the traditional cubicle format is, and has made its own solution in the form of two new pieces of furniture to offer an escape and place of privacy for employees who work with no privacy or place to think in quiet. The first piece is called Reflect, and it is mostly meant for individuals. 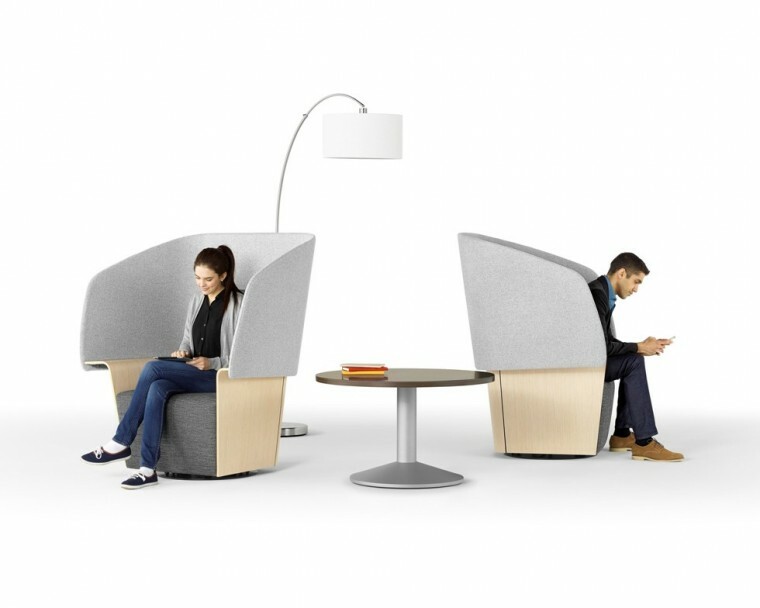 Essentially it is a very wide chair with tall sides padded with soundproofing material to give the sitter privacy and communicate to others that they want to be left around. The seat is wide so that the sitter can curl up in whatever way is comfortable for them, and it he seat has one arm wider than the others to hold a laptop, tablet, or other materials. Two Reflect chairs can be pointed towards each other for collaboration, but in general they are meant for solitary work. Clubhouse is the second piece, and it is definitely meant for group work. It works as a room, but as a piece of furniture it can be freestanding and placed wherever it can fit. The inclosed area houses a booth-style seating layout, and can be customized to allow for a TV screen and other electronics to be mounted within to facilitate any work. BMW’s Designwoks will create these pieces of furniture in partnership with Allsteel, and will be part of Alsteel’s Gather collection when they go on sale.